Copyright © 2005 Yamato Calvary Chapel. All Rights Reserved. Every 2nd Sunday of the month. Please plan to be there! 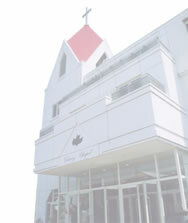 Best chance to meet God's family in Yamato Location: Mori Chapel 1st Floor (Pot Luck lunch style) Everybody is invited !